Quickly get the money you need until your next payday! 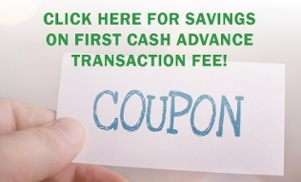 Payday Loans, or Cash Advances, are small loans designed to help you quickly get money before your next payday. When life throws emergency car repairs at you, or repairs to the home, or unexpected medical bills, you may need an emergency cash advance from Always Money™. Whether you need a temporary cash fix between pay checks or extra cash in a hurry, Always Money offers cash advances in Alabama ranging anywhere from $50 to $500, and Mississippi ranging from $50 to $410. Even if you have little or no credit, Always Money can help! Once your application is approved, simply write a personal check for the total amount due. We'll hold your check and give you the cash you need, then come back to see us at Always Money on your next pay date to repay your loan. Yes...it’s that easy!